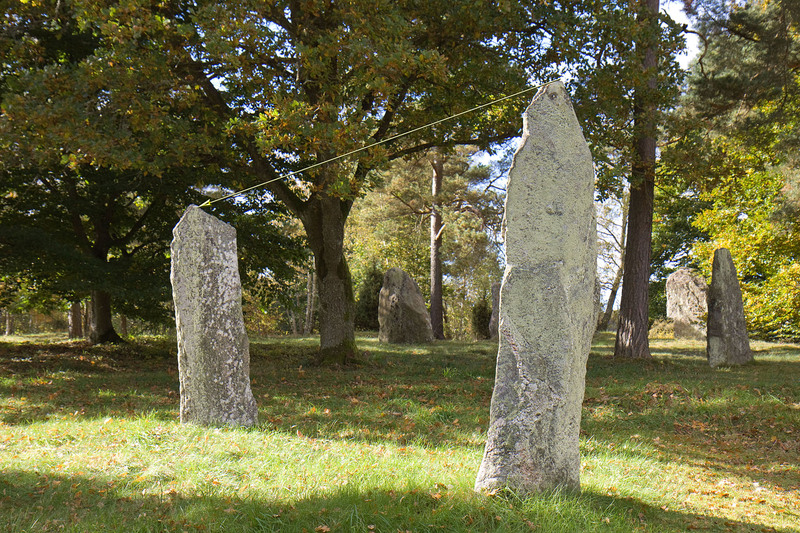 On the summer solstice the shadow cast by the higher stone moves across the lower stone, which stands 4.3m away. The gradient of the lower stone is in good alignment with the sun’s path. The passage of the shadow is exactly correct the day of the summer solstice. A tree obscures the sun which makes the shadow unvisible.